I’m kind of obsessed with body scrubs. Anything that's going to smell good, feel great and make my skin look amazing definitely gets high marks in my book. And the Brooklyn Botany Himalayan Salt Scrub delivers in spades. 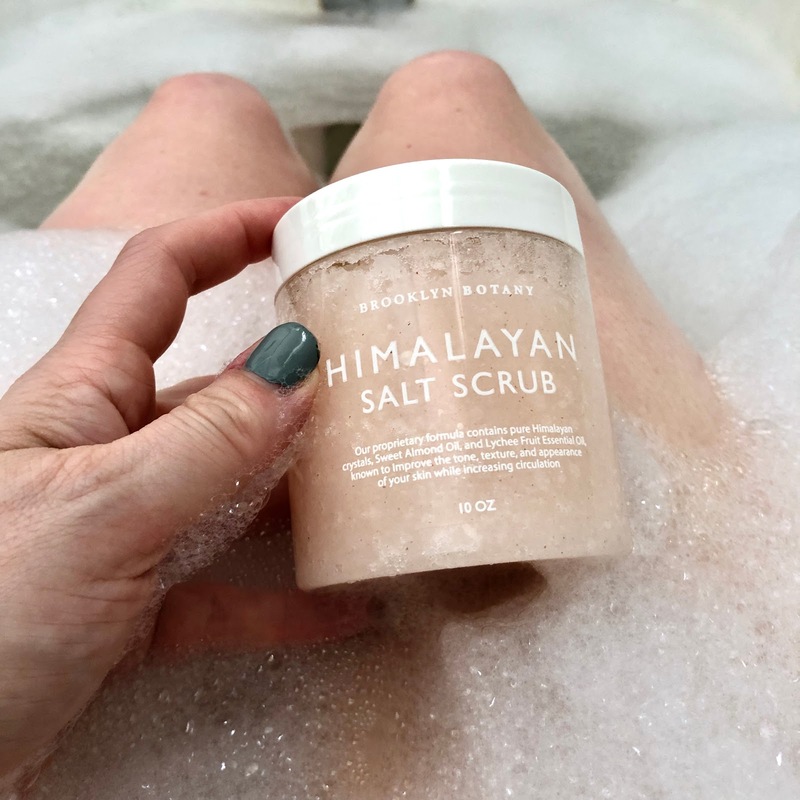 This body scrub helps to buff away dull, dead skin cells thanks to lychee essential oil, Himalayan Salt and a blend of ultra-moisturizing, nourishing botanical oils. And that's enough, right? But wait, there's more. It's also meant to help combat water retention AND help purge the auric field of negative vibrations (translation: remove negative energy from your life). I'm ALL about products that will help me do that! This scrub smells absolutely delightful and it FEELS incredible. The granules are light and almost airy, so they don’t irritate the skin -- it feels almost like rubbing in a moisturizer. Plus, it’s pink! And we all know how much I love anything pink. So, come on, it's just a must! I've been using this body scrub twice a week, and I'm happy to report that my legs are no longer ashy and dry but soft, smooth and gleaming. And thank goodness, because warm weather finally hit LA this past weekend and I want to wear dresses! I love that Brooklyn Botany was founded and created in state-of-the-art labs in Brooklyn, and that each product uses pure, age-old ingredients that are sourced from around the world. They spent month's tracking down the best available elements, even going so far as Australia and India, to find the best ingredients possible. My skin feels so incredible since I started using this body scrub -- not to mention I feel WAY calmer and less stressed after using it during a bubble bath! And, okay, that might be due to the bubble bath itself, too -- but I'm definitely counting Brooklyn Botany among the amazing reasons why I'm feeling better these days. Honestly, I’m going to start scrubbing during a bubble bath way more often. Brooklyn Botany Himalayan Salt Scrub retails for $15.95 at brooklynbotany.com.